A U.S. District Court appointed a Michigan-based company as receiver for Harvey Industries LLC and Harvey Property Management LLC. The U.S. District Court for the Eastern Division of Michigan, in a March 26 decision, appointed Steve R. Wybo of Conway MacKenzie Inc. as the receiver. Harvey’s lone plant, outside of its corporate headquarters, is in Wabash. Scenes from the inaugural ride on Trolley No. 85 #TrolleyNo85 Find out more in next week's issue of The Paper of Wabash County! Wabash County’s Trolley No.85 will make several public appearances in the next several weeks. The trolley, which was purchased as a joint venture among the City of Wabash, Wabash County Convention and Visitors Bureau (CVB) and Wabash Marketplace Inc., could be seen on the streets of Wabash and North Manchester on Wednesday, April 15, carrying a variety of leaders from both communities. It will make its public debut during the Tulip Festival on April 25 at the Peabody Retirement Community in North Manchester. It will make its first public appearance in Wabash on May 1 during the First Friday celebration. The Foundation of Art and Music in Education (FAME) Festival hit off its ninth year in Wabash by celebrating Chinese culture on Saturday April 18. 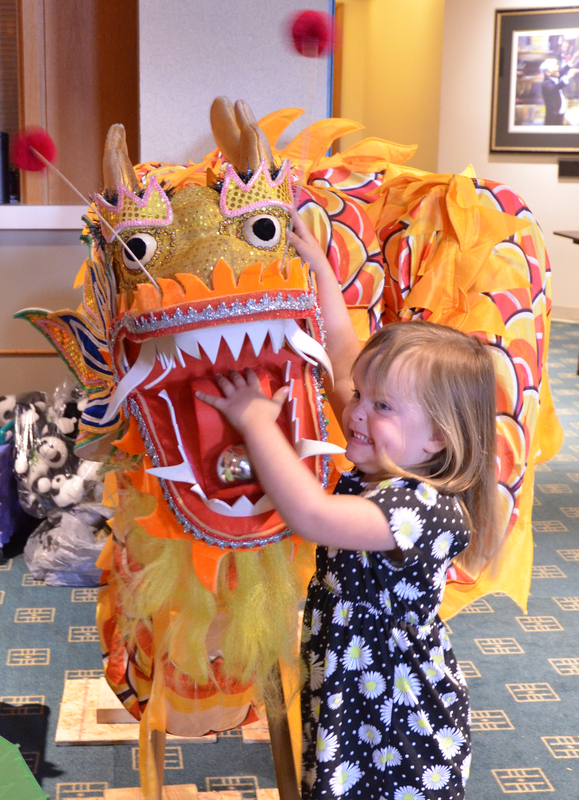 From hosting a dragon dance to the assistant artist of Garfield, the festival astonished locals and a few out-of-towners by the talent and the artwork, according to Richard Tucker, volunteer greeter. “What I’ve heard more than anything else is surprise,” Tucker said. “They don’t realize the volume of activities that are going on here and I think that’s great that they see that there’s a lot of activities that they can participate in. 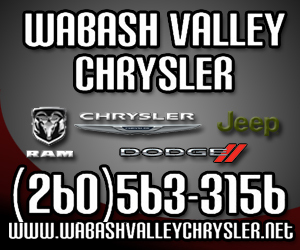 Wabash County’s portion of the Wabash River Road is changing its route. Wabash County Commissioners, at its April 13 meeting, approved the change, which was requested by Michael Beauchamp, the county’s representative on the Wabash River Heritage Corridor Commission. The route was first approved five years ago, Beauchamp reminded commissioners. It is part of a route that continues for more than 400 miles through all 19 counties in which the Wabash River flows. Local property tax credits have decreased, according to the Wabash County Treasurer’s Office. The tax credits have dropped over $150 since 2014, which may affect some property owners’ property tax bills as they are received this month, according to Sharon Shaw, county treasurer. A plan to seek a sewage bond of up to $3 million cleared its first hurdle on Wednesday, April 15. 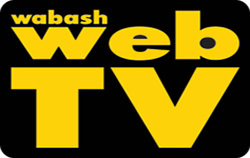 The plan to seek the bonds must now be considered by the Wabash City Council. It is likely to hear a request on the matter at its April 27 meeting. The funds will be used for the city’s work in separating the sanitary and storm sewers. The city has until 2028 to complete the work, which is required by the Indiana Department of Environmental Management. The work is needed so in the event of a heavy rainstorm, the sanitary sewers aren’t filling up with storm water “and becoming more than the sewage plant can handle and ending up dumping sewage into the river,” City Attorney Doug Lehman told the board. The City of Wabash took steps to guard itself in the case of wrongful termination lawsuits when the Wabash Board of Public Works and Safety met on April 15. The board passed two resolutions creating policies, one for the termination of police officers and fire department employees and the other for the termination of standard city employees. The measures, City Attorney Doug Lehman noted, are required because of the city’s insurance policy. Motorists will pay the lowest gas prices this summer than in 2005, according to a study by GasBuddy. The summer driving season, which runs from Memorial Day through Labor Day, will see gas prices averaging about $2.35 per gallon. That is down from an earlier forecast which had prices about $2.45 per gallon. Both of the forecast figures are still lower than they have been the past 10 summers. “That means more Americans can afford to pack up and go enjoy a summer getaway because the cost of getting there will likely be the lowest since 2005,” said Patrick DeHaan, a senior petroleum analyst with GasBuddy.